In a story somewhat reminiscent of the magnificent Perforating Mexicans, a mysterious dwelling has been discovered in a sea-side cliff near the town of Arbroath, Scotland. 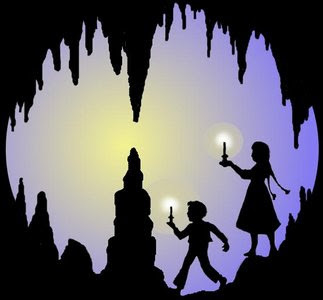 "The [Arbroath authorities were] investigating reports of cries for help coming from local caves on Tuesday. i'm so glad you did more awesome posts on my birthday!!!!!!!!!!!! But those people are kinda rude! They just went in the person's house and trashed it! ... nvm But that is pretty interesting! Poor guy, he probally going "Oh durn... My hideout is finally found..."
i feel really bad, I have strep throat or something, my tonsils are so large its gross! i' super excited about the contest what's it gonna be? it would be cool if it was making your own irregulars costume! I've seen those cliffs -- it's completely believable that someone's hidden in there, living. But boy, they're hard to scale! Anonymous2: Not to sound weird, but how old are you? My tonsils started to swell when I was 7, but now that I am 12 they are starting to go down. They do shrink, but slowly. Mine where so huge that the dentist said that I had the biggest tonsils that they had ever seen, and they see a lot of tonsils. Anyway, this is pretty sweet. But you said someone was calling for help? Do you think they held someone hostage there? That would be weird. mabe the contest will be for the creepiest true story!!!! I have a preety good one about girl scout camp a graveyard and glowing blue eyes! I wish I could go there. I think at the time investigators were there, the person was probably hiding in a secret passage. I am so interested in caves, underground, cliffs and those mysterious things. If that was their home, why do you suppose they cried for help? What if they were ghosts that used to be children that had gotten trapped and made a house before they died?! And they were crying for help, 'cause they were trapped in time! Poor dears!